Roger Federer of Switzerland celebrates after match point against Philipp Kohlschreiber of Germany on day eight of the U.S. Open tennis tournament at USTA Billie Jean King National Tennis Center. 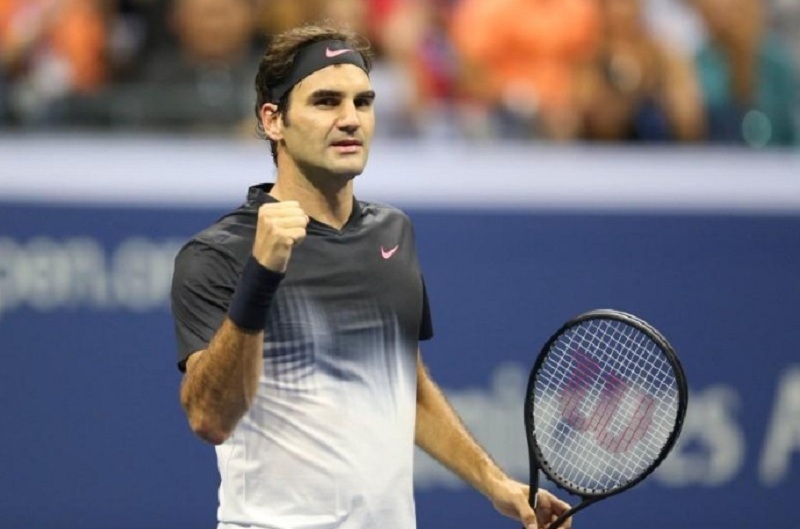 NEW YORK - Roger Federer crushed Germany’s Philipp Kohlschreiber 6-4 6-2 7-5 to ease into the quarter-finals of the U.S. Open and remain on a collision course for a semi-final showdown with Rafa Nadal. The elegant Swiss maestro and the muscular Spaniard have played for titles on French Open clay, Wimbledon’s manicured lawns and in Australian heat and while no trophy would be on the line, a New York meeting would still have the Big Apple buzzing. One of sport’s great rivalries, Federer and Nadal have clashed 37 times over the years but never stood across from each other on Flushing Meadows’ hardcourts. Standing between Federer and a semi-final berth is towering Argentine Juan Martin del Potro, who beat the former world number one in the 2009 final to lift his only grand slam title. Nadal kept up his end of the bargain with a straight sets win over Ukraine’s Alexandr Dolgopolov earlier on Monday. He will need to get past 19-year-old Russian Andrey Rublev. ”I think it would mean a lot to both of us,“ said Federer during his post-match television interview. ”I think it would be good for tennis, good for the game, but we’ll see if we get there. 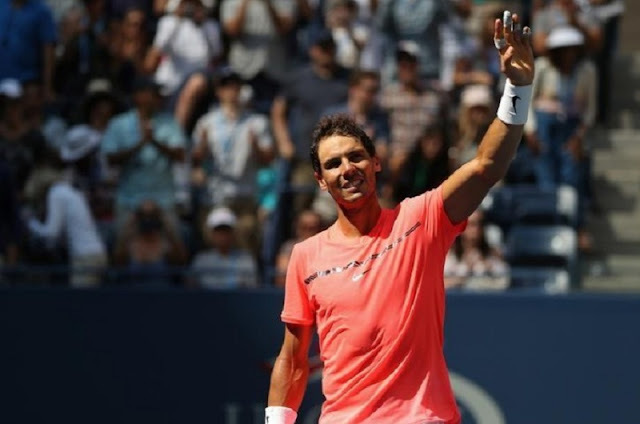 Rafael Nadal of Spain celebrates after his match against Alexandr Dolgopolov of Ukraine (not pictured) on day eight of the U.S. Open tennis tournament at USTA Billie Jean King National Tennis Center. After two marathon five-setters to open his U.S. Open account, Federer sprinted past veteran Spaniard Feliciano Lopez in just 77 minutes in the third round and dismissed Kohlschreiber in one hour, 49 minutes without facing a break point. Unbeaten by the German in 11 matches prior to Monday’s clash, Federer started quietly and was content to feel out his opponent but it was not long until he turned up the pressure and broke his opponent with a thundering forehand before wrapping up the first set. With the match on serve at 2-1, razor sharp Federer tore through six successive games to take the second set and go 1-0 up in the third. With Kohlschreiber on the ropes, the 36-year-old Swiss seemed to ease up but he took the decisive break at 6-5 before closing out the match with a classic forehand winner. If there was one worry about the Swiss in the one-sided contest, it was the sight of him leaving the court before the start of the third set to receive treatment on a back that had given him problems in the run-up to the grand slam. Federer, however, downplayed the timeout, declaring himself 100 percent healthy and ready to go. ”I just felt something, sort of my muscle being tight at the back,“ explained Federer. ”I just wanted to get it done really quickly after the set break.